and decided to get some Christmas crafting done for Amy's shop. 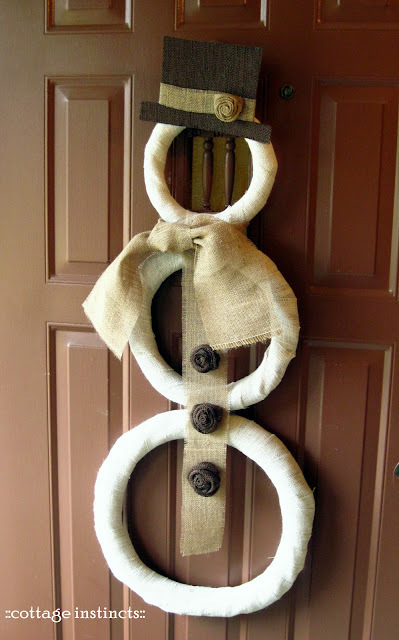 After digging thru my stash, I came up with 3 graduated wreath forms, 3 colors of burlap and some hot glue. 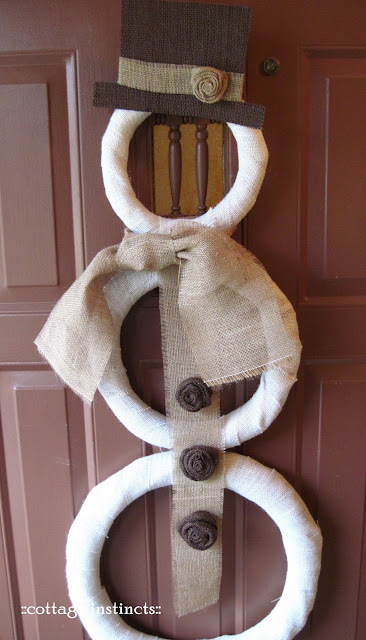 They became Mr. Burlap Snowman. then used a couple more strips to connect them to each other with some handy dandy hot glue. 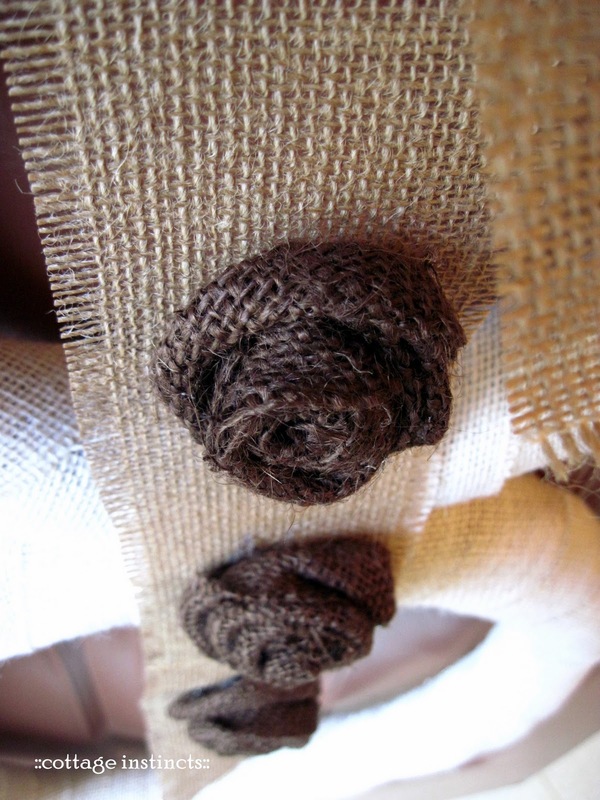 Cut a couple strips of the natural burlap to make a scarf and then a strip down the front for the dark brown burlap button rosettes. Used some black posterboard to make a top hat form, then cut the dark brown burlap to fit. After a quick spray of adhesive, I added the natural strip and rosette to finish it off. 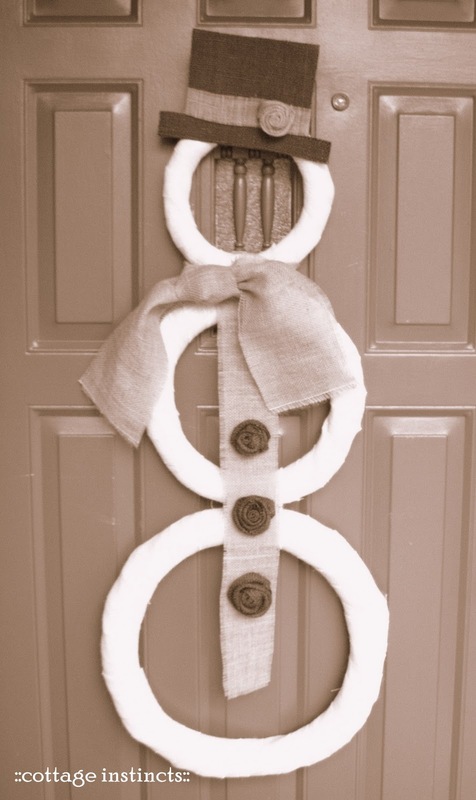 He looks pretty spiffy on my door, even though I'm SOOOOO not ready for snow. He'll be for sale up at Like Yesterday starting tomorrow. I hope he finds a new home in a friendly neighborhood with a family who will treat him with respect. 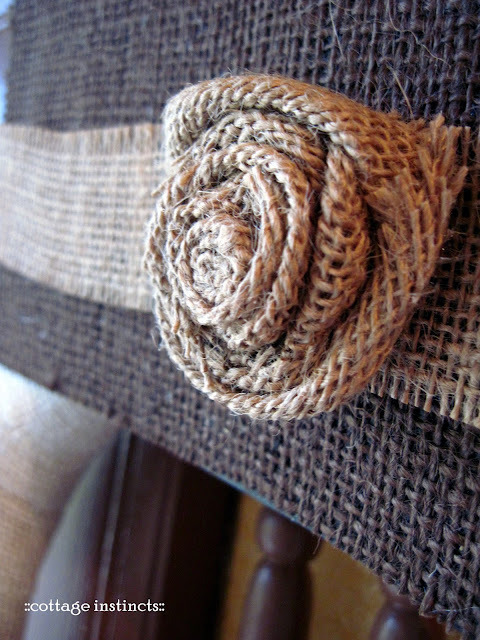 Linked this up to Donna's Burlap themed SNS Linky! This is too cute! I love the detail on the scarf. 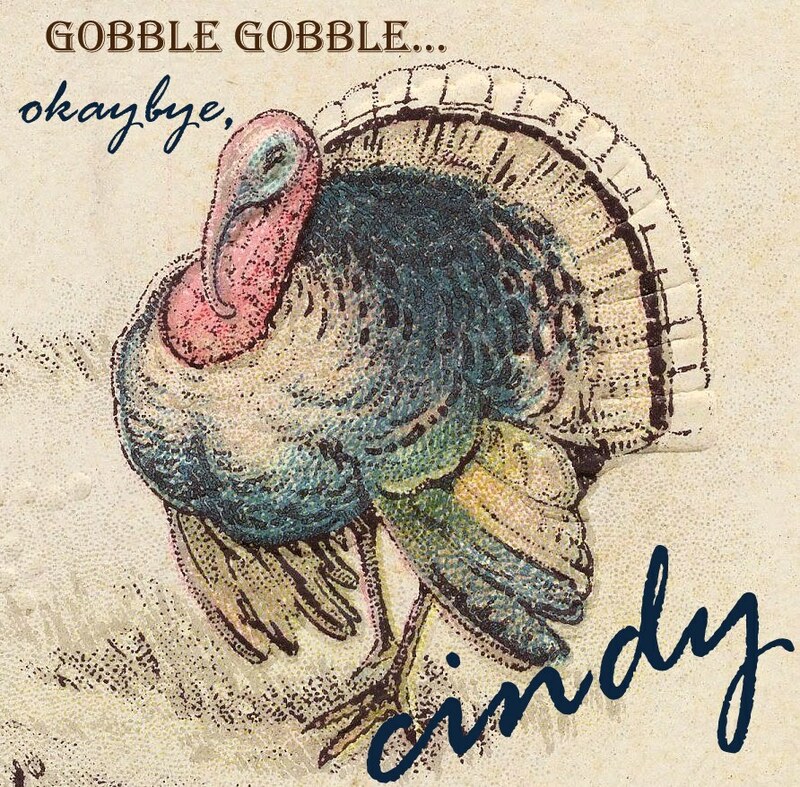 Well, how cute is that, Cindy! You have SUCH a great imagination for using things! You make the rest of us look...well...not so imaginative! that is super cute Cindy!! are you selling your stuff at Amy's shop? If so, good for you!! Happy wedding planning!! Aww, he's so cute! I love how you put this together, it's so creative and fun! so so cool and clever my friend! I love that it is so different from anything I have seen!!! Thanks for the wonderful inspiration! He is cute. Wonderful how you just wipped that right up. You creative chick! 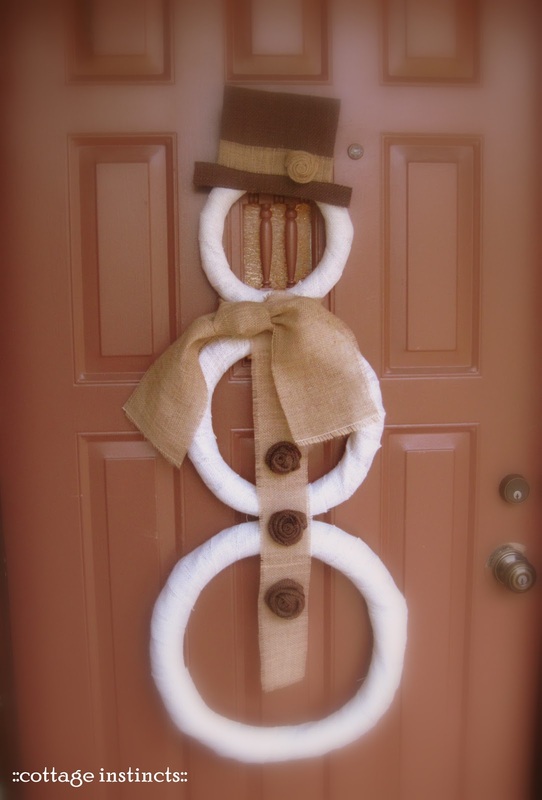 i love this cute fantastic snowman decor ... my kids when see it from your blog told me to make something like this ..lol ...I love how you put this together and everything looks perfect ... and you are right this snowman is pretty spiffy on your door!!!!! Cute and so imaginative! Love the burlap rosettes. Hope the wedding plans are coming along! Oh he's adorable! I like the contrasting burlaps! This is a really cute snowman, Cindy. I am so not ready for any snow yet either. But I am ready for the decor. I love it! i just got to this post in my reader-i'm super behind. i had to tell you how adorable this snowman is! i love it, it's the perfect thing for all winter long, but also for my 2 religion household...you can't go wrong with this! All your missing is the eyes, nose and month. If you had that then it would be a full snowman.